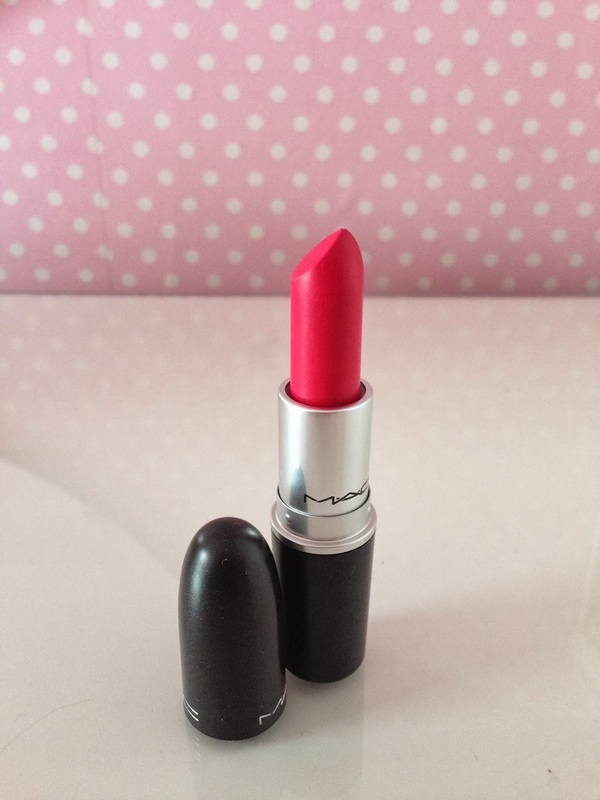 Today I want to share with you a new lipstick I have in my collection, MAC's All Fired Up. All Fired Up is part of the Retro Matte collection launched in September 2013, there are 8 shades in the collection but the one that caught my eye was All Fired Up, it is described as a bright fuchsia matte and is only the second matte MAC lipstick I own. I am a very lucky girl because after I kept forgetting to order this, Cole picked it up for me as part of her back to MAC when she recently took in her empty packing. If you're not familiar with the back to MAC policy, basically you can exchange 6 empty MAC packages for example, six empty lipstick bullets and exchange it for a new lipstick, you don't get the box but that doesn't really matter to me. If you want to find out more about back to MAC, there is some information on the MAC website here. All fired up is described as a bright fuchsia matte, personally I find it more of a pinky/red shade and it definitely looks more red than pink on my lips, my lips do have a lot of blue in them so maybe that's why, I think it would look more fuchsia on a darker skin tone than mine. As you can see from the photograph, it does look quite pink in the bullet. All fired up is only my second matte lipstick in my MAC lipstick collection, the other being Russian Red. 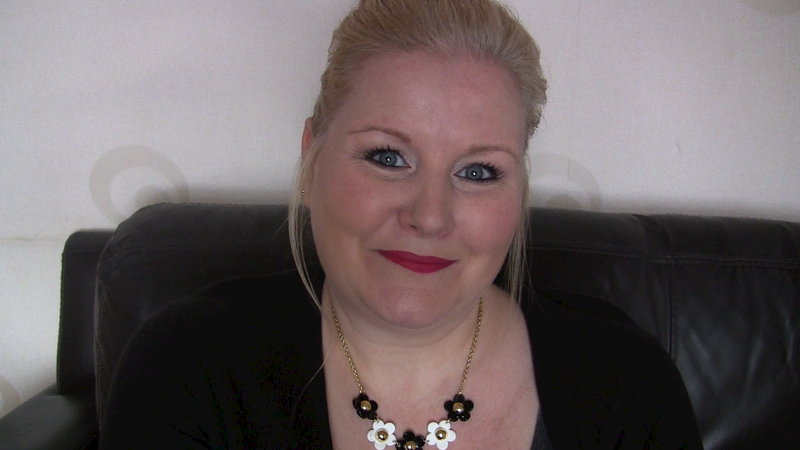 I love the colour of this lipstick and am so pleased Cole picked it up for me, it is a beautiful colour and I have received so many compliments when I've worn it, whether it be from my friends and family at home or comments on one of my You Tube video's, and every time I've worn this lipstick for filming, I've been asked what it is. Like I said on me I think it definitely looks more red than pink, all be it a bright red and much more red than Russian Red if that makes sense, I find Russian Red to be a deeper darker red, this is definitely bright red but it does have a pink undertone to it. The colour is beautiful and since getting it, it has been my go to lipstick pretty much every time I've applied my make up. It looks great with all make up looks, I've worn it with a neutral daytime eye make up look and a darker more smoky eye look and it looked lovely with both. The only negative I could find with all fired up is that it is quite dry, obviously it's a matte finish they are always on the dry side but some more than others, if you've tried Russian Red and Ruby Woo you'll know what I mean, Ruby Woo is much more dry than Russian Red. I don't have a problem at all with Russian Red and don't find it dries my lips out, I am lucky though not to suffer from dry lips but I did find All Fired Up harder to apply and it feels dry on the lips when I'm wearing it. I wouldn't say I had to drag it to apply it but it is dry, and next time I wear it I am going to try a lip balm over or under it. I would imagine if you do suffer from dry and especially peeling lips this may be one to use a lip balm with. It isn't a problem to me but I'm not keen on the feel of the finish, it certainly doesn't put me off wearing it though. Having said that because this is a matte finish the longevity of the lipstick is phenomenal and lasts for hours without the need for touching up despite me eating and drinking. 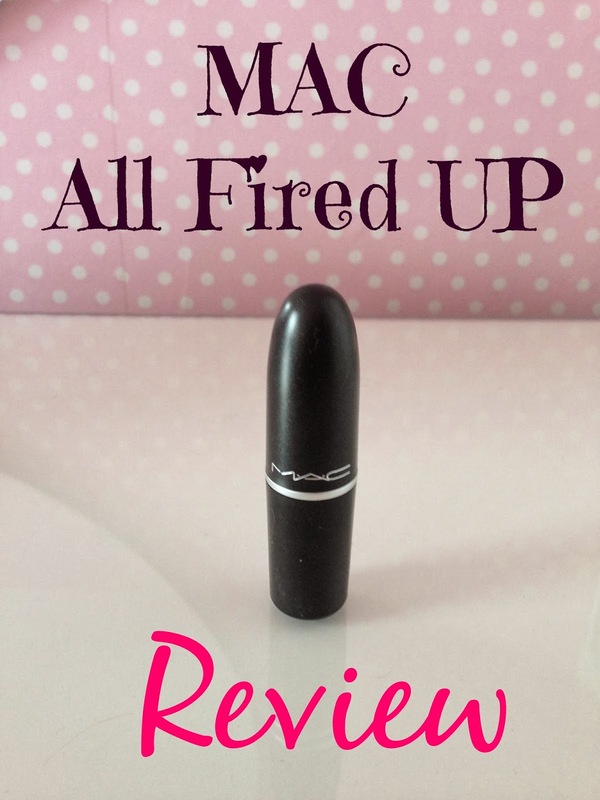 Overall I would definitely recommend All Fired Up, it is a beautiful colour that is long lasting and looks amazing with many different make up looks, and I would certainly re purchase it, its a definite 10 out of 10 for me. I love it and if like me you love red lips or a bold lip colour I would say you must check it out, but if you do suffer from dry lips, I'd pick up a lip balm at the same time. You can find All Fired UP here and here for £15.00. This photograph is a little dark but I am wearing All Fired up in this photograph and in this video. Have you tried any of the Retro Matte collection?